Being able to spell and form sentences accurately are two important criteria that examiners look out for when marking papers. Therefore, it is essential that candidates learn how to do this correctly whenever they practise. 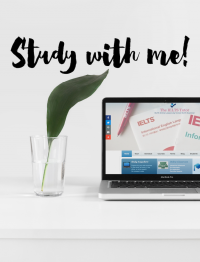 Here is a simple IELTS Dictation task for you to help you with your spelling skills as well as to help familiarise you with appropriate sentence structures. Get your pen and paper ready! Don’t forget to share your answers in the Reply box below, with other IELTS students.